A spectacular 70s Blouson style silk dress, covered in a graphic flow of royal blue, iridescent sequins. 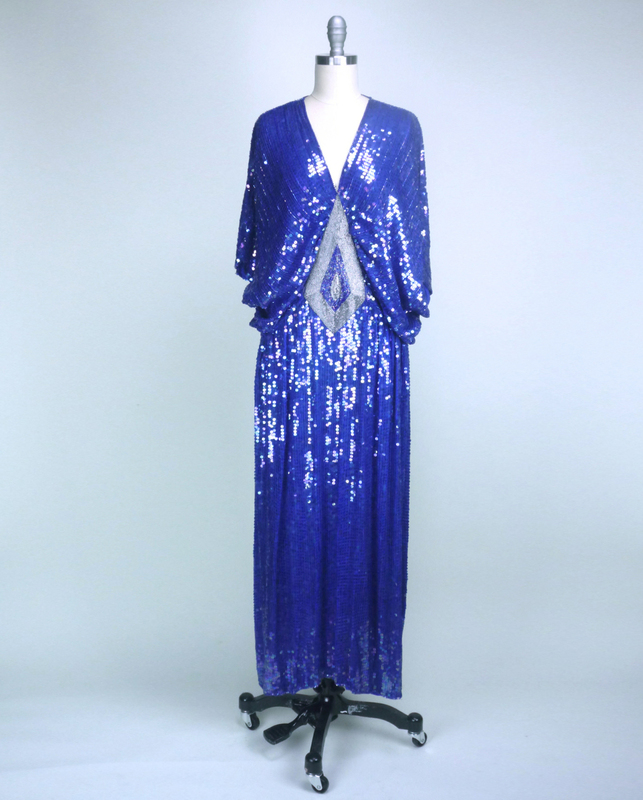 The centre of the dress gathers toward an abstract focal-piece of royal blue, and silver bugle beads. Slouchy top shows off a flirty Bat-Wing short-sleeve, with deep Plunge V-neckline. The skirt falls straight, at Ballet length. This comfortable, roomy style of dress, has been popular from as early as the 1920’s clear through the 90’s, easily dressed up, or down by accessories. Previous PostWhat is Princess?Next PostWhat is Shift?